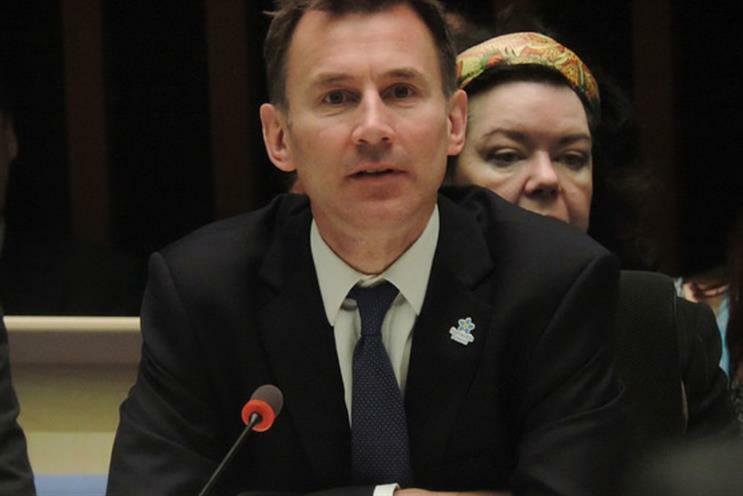 Health secretary Jeremy Hunt wants to place further restrictions on junk food TV advertising that could be seen by children. Bans around advertising products that are high in fat, salt or sugar during programming that is disproportionately watched by children are already in place. But a report in the Financial Times claims Hunt wants to extend the ban further. Hunt is understood to be pushing for a ban on junk food advertising before 9pm. The potential policy could be included as part of the government’s childhood obesity strategy, which is due to be unveiled in a matter of weeks. It is understood culture secretary John Whittingdale has voiced concerns on behalf of broadcasters. A ban on junk food advertising has traditionally been a policy of the Labour party rather than the Conservatives. Labour proposed a 9pm watershed for junk food advertising in its general election manifesto. The government is also being pressured to launch to introduce a sugar tax by campaigners including Jamie Oliver in order to combat obesity. Speaking in Budapest yesterday, Prime Minister David Cameron said that while he wasn't keen to introduce new taxes, a sugar tax couldn't be ruled out entirely due to the growing risk of diabetes, heart disease and cancer from poor diets. The news comes shortly after Public Health England (PHE) created an app that allows parents to monitor the sugar intake of their children, after finding most four-to-10-year-olds consume 22kg of sugar a year - the weight of an average five-year-old. It has been allocated a budget of £5m, and aims to remind parents to pick healthier options for their children by revealing the sugar content of everyday foods and drinks.